How Do You Evaluate the Impact of 360-Degree Feedback? The initial 360-degree feedback provides a benchmark and baseline for the talent. It is hoped that the results of the 360-degree feedback program will result in enhanced performance and effectiveness. One important metric in evaluating this type of training intervention is to compare change over time on the key competencies being measured through the 360-degree feedback assessment. This ensures that the 360-degree feedback process focuses on individual change, rather than being a one-time event. This is frequently seen within many organizations. “Best Practices” suggest that the 360-degree feedback process be repeated 12 to 24 months following the initial administration of feedback to facilitate the effectiveness of the training program and monitor individual progress on individual development plans (Nowack, 2005; 2009; Nowack, Hartley, & Bardley, 1999). Surveys and focus groups can also be used to evaluate the process, as well as the outcomes with targeted stakeholders. When we speak of measuring the impact of 360s, there are three levels to look at. The first is at the individual level which is characterized by the extent to which individual participants have created some kind of behavioral change. The second is at the team level which is includes groups within an organization as a whole, or their performance or behavioral change on a group level. Finally, it is important to understand how the individual and group changes translate or impact the overall business results of the organization. 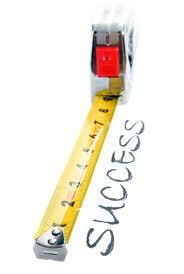 In doing so, measuring individual behaviors are key to evaluating overall team and business results. If you can’t build behaviors then how can you ultimately expect impact on the business level? While measuring the impact of 360s does depend on the level to assess, we believe it is crucial to measure the impact of change first and primarily on the individual level, since individual enhancement leads to team enhancement, which leads to the business outcome enhancement. When evaluating the individual level, a 360 re-assessment can be a common approach. The challenge with this that many participants and raters are resistant to go through the entire 360 degree process all over again, so we recommend the approach of assessing only those behaviors that the participant elected to work and develop on. This process would simply ask the participant and his or her raters to rate them based on how much more, less, or differently their behaviors are perceived. In other words, the participant would be evaluated on the progress initiations and practice that was formed based on the competencies they chose to work on. This process is less cumbersome and much more reasonable and targeted. For instance, at Envisia Learning, we provide a tool called Progress Pulse which allows participants to ask raters the degree to which only the behaviors they worked on have become any more, less or different. Ultimately, we hope that a 360-degree feedback process achieves helping individuals become better at what they do and maximize their potential. This, we believe, will naturally result in team and business-wide change. What are your thoughts about ways to measure the effects of and evaluate the impact of 360-degree feedback?